Year after year, more start-ups and entrepreneurs are launching businesses from their homes. Some of the most popular start-ups are from the fields of yoga and personal fitness, SEO and business growth, tax preparation and private lessons (music, language or academics). As such, these industries draw clients on a regular basis to home offices and home studios. But did you know that if you have a mold problem your clients and employees could sue you? According to Legal Match, law suits over toxic mold exposure are commonly filed by employees who have been exposed to the dangerous spores. If you have clients and employees coming to your home office you owe it to your business reputation to have a free mold inspection performed by a local professional. But you also owe it to yourself to keep a healthy home. By understanding the dangers mold poses, how it forms and how it can be prevented; professionals who work from home can better appreciate the importance of having a mold inspection performed. Commonly known as household mold, Stachybotrys Chartarum is one of the most toxic black molds that grown in homes and businesses. It produces deadly mycotoxins that cause a number of health problems in people, and it has even been known to cause death. When mold spores first form they can only be seen under a microscope, but as they breed mold spores take on the semblance of black spots and spread across your wall looking like a sick Jackson Pollack original. But no museum under the sun would hang this diseased art on their walls, as the potential for breathing in mold spores is a real danger to be avoided at all cost. The paradisiac plains of mold growth must be warm, have a lot of moisture and poor ventilation. If your home office is located in the Miami region where moisture and heat are prevalent, you may have a mold problem in the making. 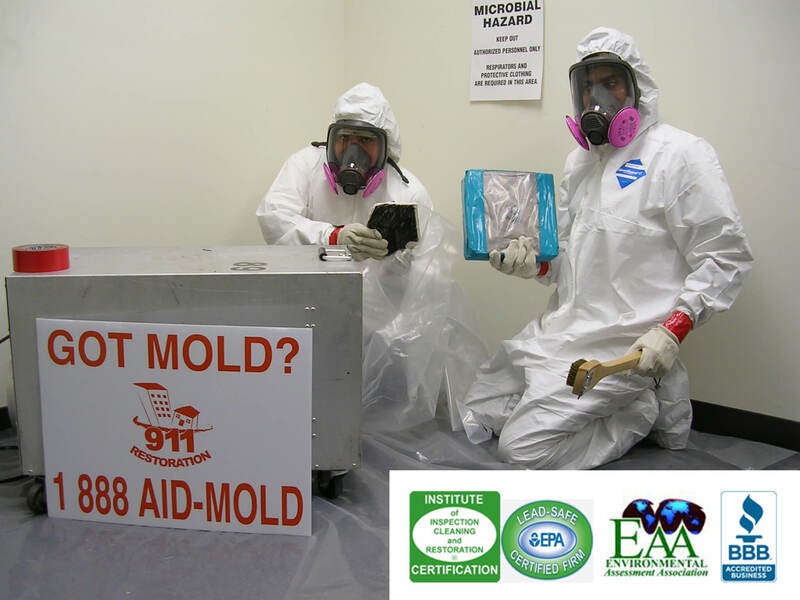 Mold seeks out organic and semi-organic materials such as drywall, wood, fabrics, some carpets, tiles, paper, upholstery and a number of other items that are found in home offices or that constructed your home. Mold poses a number of health risks that can harm otherwise healthy adults, but the elderly, children and people with chronic illnesses or immune system deficiencies are especially vulnerable. Mold can cause people to get asthma, form lung diseases and suffer from respiratory problems. Symptoms of mold exposure includes itchy skin, dry itchy eyes, flu-like symptoms, fever, stuffed nose, coughing, and headaches. In some cases mold infections have appeared on victim’s tongues and in their lungs. How can I Prevent Household Mold? Start by having a mold remediation company come out and perform a free inspection. Not only do they check for the visible signs, they also test the air quality with a special device. If your home office has a damp feel to it, or a musty smell, you may have mold growing in your walls. Once your house has been cleared from mold be sure to keep the office and the rest of your home dry, well ventilated and properly insulated. Have your plumbing inspected for leaks, as mold can grow from pooled water. You should also invest in a room dehumidifier if your home is older and proper insulation is a challenge. Keep your home office or studio safe for clients and employees and they will respect you for it. Your home office is a reflection of your brand and business integrity, so don’t let it get spotty!